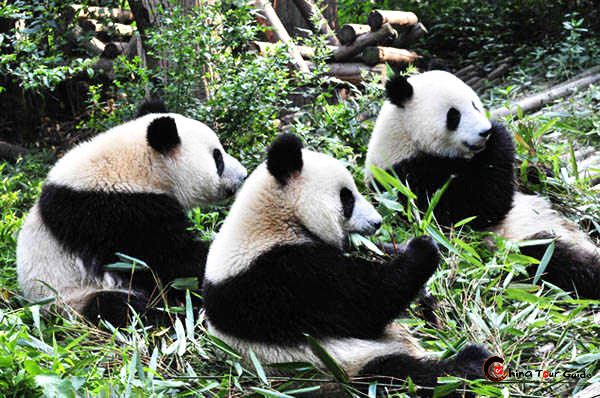 Three pandas are eating their delicious bamboo shoots at Chengdu Giant Panda Breeding and Research Center. 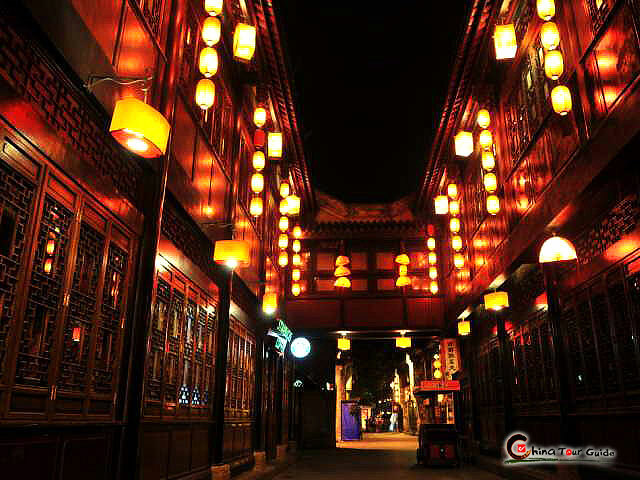 -- Accommodation in Chengdu for 2 nights. Deluxe hotels are 5 star, superior hotels are 4 star and tourist hotels are 3 star. Upon arrive at the airport in the morning; be welcomed by our tour guide. We will visit Sanxingdui Museum and Wenshu Temple. Then, we will enjoy dinner of typical Sichuan Cuisine (subject to separate quotation), which is one of the four famous cuisines in China. Wenshu Temple : Wenshu Temple is arguably the most beautiful and well preserved temple in Chengdu. Worshippers light candles and incense, constantly filling the temple with a thick, perfumed smoke. 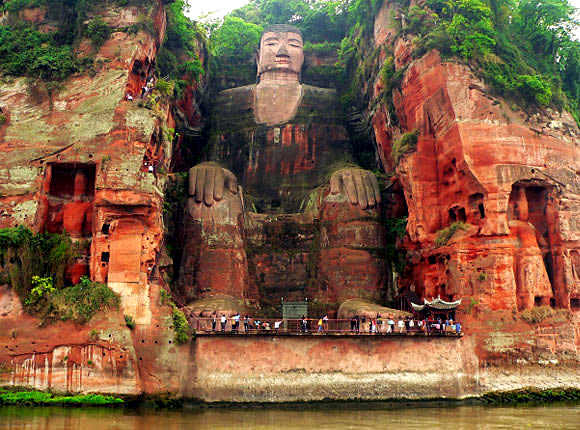 We will make a travel to one of the famous attractions in Chengdu - Chengdu Research Base Giant Panda Breeding, then go to see the Wuhou Memorial Temple. Chengdu Research Base Giant Panda Breeding: Giant Panda featured Chengdu Giant Panda Center in southwest China as one of the best in the world. 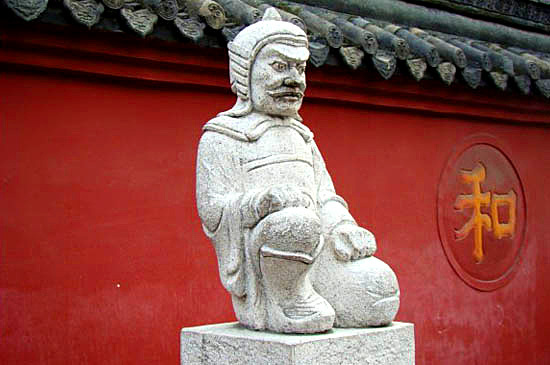 Wuhou Memorial Temple: Located at the southern suburb of Chengdu, Wuhou (Martial Marquis) Memorial Temple was built as a tribute to Zhuge Liang, the Martial Marquis of Shu during the Three Kingdoms Period.